Dubai may be known as a city rich in history, a business hub and the home of the tallest structure in the world, but it’s also the birthplace of one of the first death metal bands to come out of the Middle East. Dubai is where, in the late 1990s, guitarist Alex Zubair and drummer Alan Madhavan came together to form Nephelium, guided by the sole vision of a band comprised of equal parts complexity and brutality. Staying true to the roots of death metal, Nephelium was quick to forge ahead with experimentation, pulling in influences from metal and other genres. 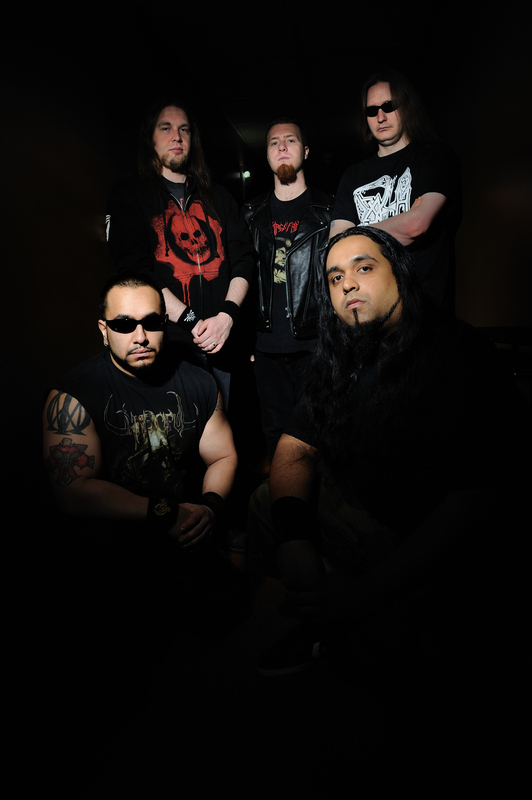 With the hope of spreading Nephelium’s insidious gospel across the world, Zubair and Madhavan settled in Toronto, Canada where they completed the band’s lineup and immediately began playing shows and tearing up local stages, which quickly led to opening slots for metal heavyweights Skinless and Deicide. Following a tumultuous journey spanning ten years, two continents and countless lineup changes, Nephelium is ready to once again give the death metal world a good shaking with the release of their debut album, Coils of Entropy. The embodiment of Nephelium’s journey to striking the perfect balance between technical death metal, old school metal and Arabian melodies, Coils of Entropy is a six-track masterpiece set to breathe new life into today’s dwindling death metal landscape.